Analytical reporting does not end when the report is completed. Its publication and distribution to authorised users are just as important. It would be an excellent solution for an organisation to create one place where results could be presented and published and vital business information gathered. This is Portal in essence. 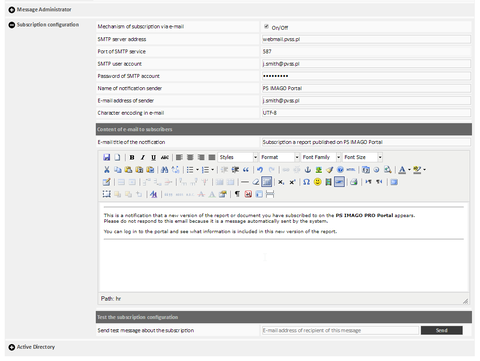 Users can publish reports, create groups, and grant privileges using the Portal. Reports kept in the repository are organised in directories the structure of which may reflect, among other things, the organisational structure of the company or its business goals. PS IMAGO Portal offers advanced access management to published reports. The user may: create user groups and assign authorizations to view specific reports; set specific dates of availability of each report after which that version of the report is no longer visible; versioning, such that the report viewer may view previous versions of the report e.g. to compare current data with data from an earlier period. 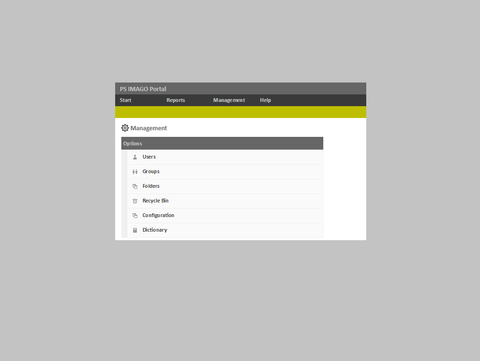 PS IMAGO Portal serves to publish and present analytical reports created using PS IMAGO Designer from a single place. The reader may view reports made available to them from anywhere on any device provided they have internet access. In addition, a subscription option serves to inform the reader of new reports or report updates the minute they become available. 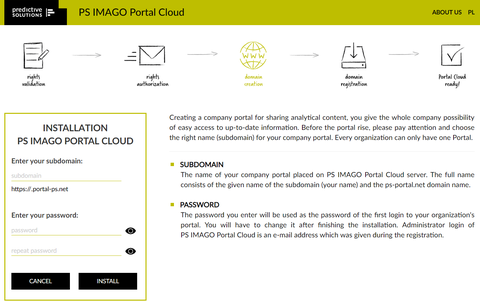 As a user with admin rights to PS IMAGO Portal, published materials may be organized thematically to facilitate easier viewing by the portal user, e.g., the portal may be structured to reflect business goals or a company structure. 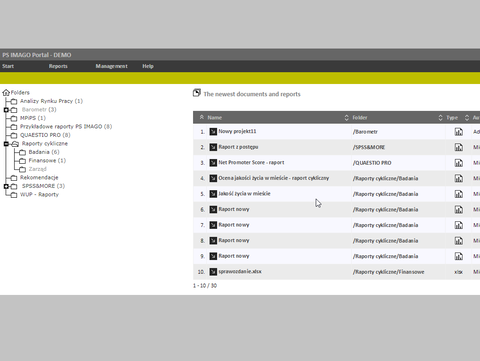 PS IMAGO Portal also contains an integrated search mechanism allowing the user to search through all published content. Versioning of reportsis also possible safeguarding against theaccidental overwriting of the current report version, and to view previous versions of the report. sending notifications on updates and new reports.